Not everyone is into the glittery, shiny, and embellished Christmas decorations. Some of us, especially those who have embraced the minimalist lifestyle, like a subtle yet stylish decor. 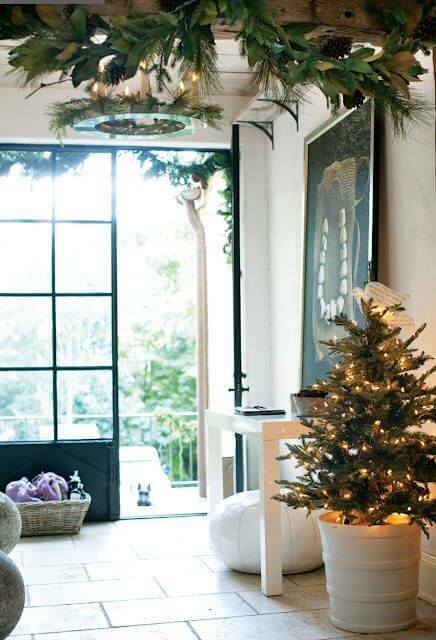 Here are minimalist Christmas decor ideas that will prove how less is more festive. You’re less likely to light up the fireplace this season, but that doesn’t mean you have to leave it boring. 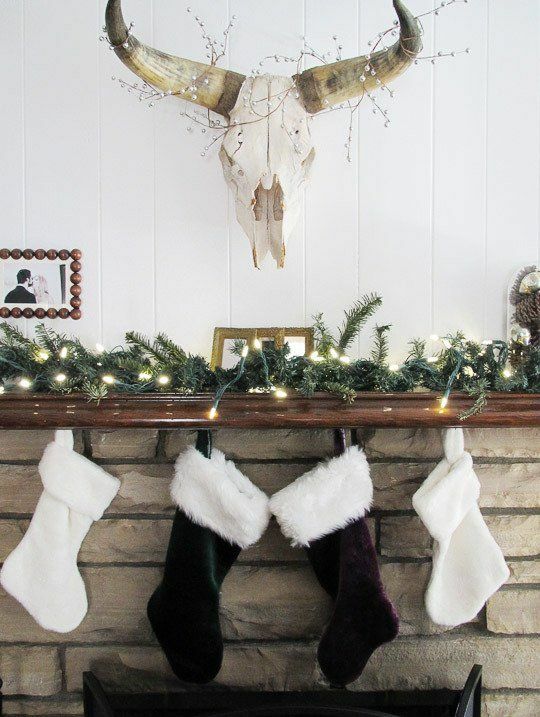 Try decorating the mantlepiece with greenery with Christmas lights, candles, and other simple holiday ornaments. 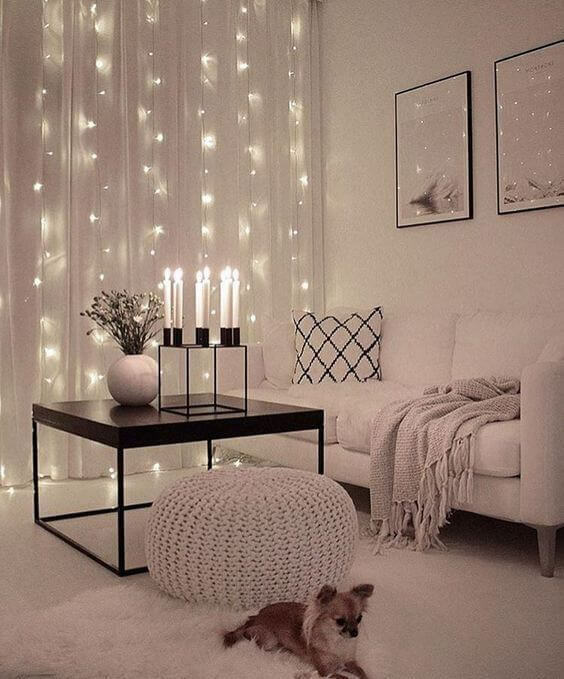 Take a look at this starry living room curtains thanks to the fairy lights that fall from the ceiling. The design isn’t too complicated and you can do it on the weekends. 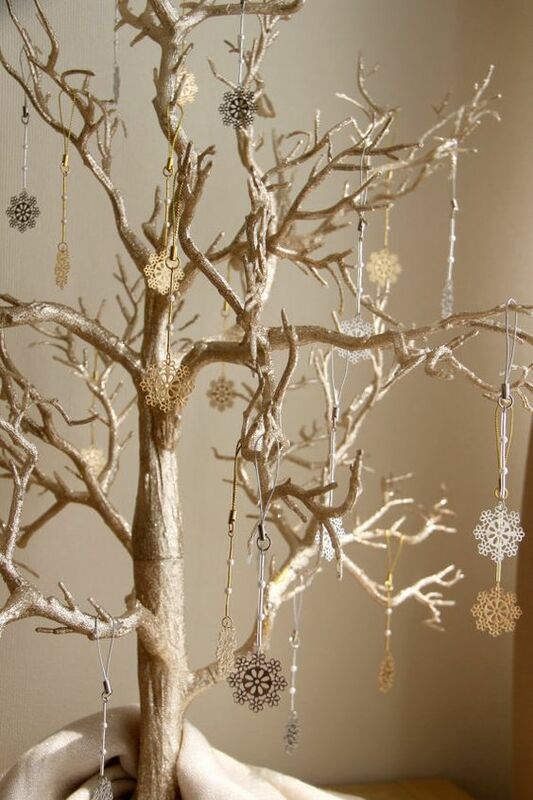 While other homeowners adorn their Christmas trees heavily, minimalist choose to go simple. Decorate your tree with items that are not too flashy. Do it in any way that you like. If using real (fir) or artificial trees doesn’t fit your taste, try the unconventional Christmas tree designs. Perhaps a tree made from bare branches like the one below can work for you. The design below is a little more shabby chic than minimal. People will want extra texture sometimes. Superdraft tip: Using a chalkboard enables you to change the message from time to time. Write your new year greeting next! 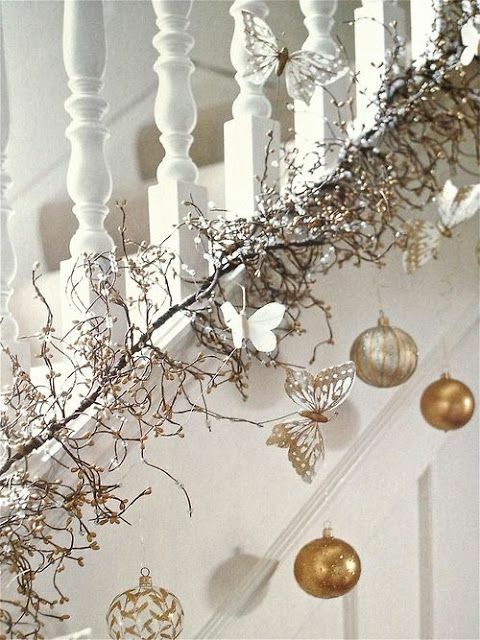 Spruce up the handrails of your stairs with greenery. 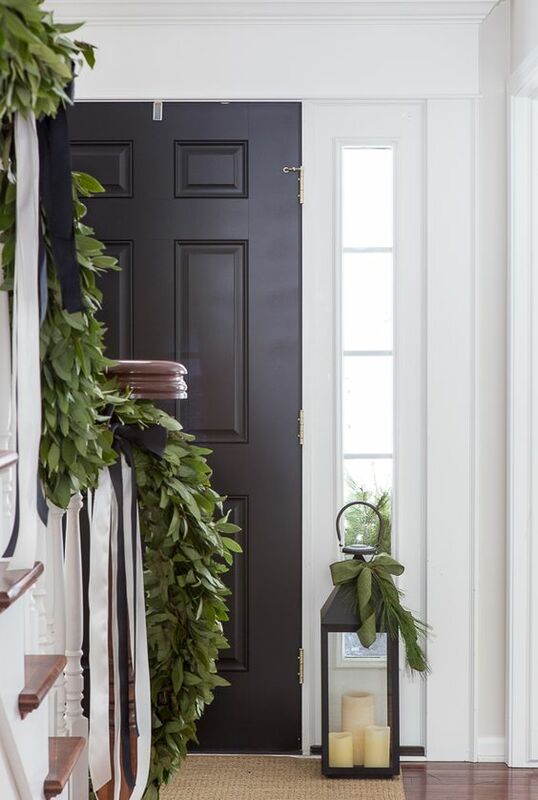 The fresh bay leaves decor in this foyer will surely greet you with a fragrant smell. Finally, don’t miss the little decorations. Display something cute and festive above your tables. 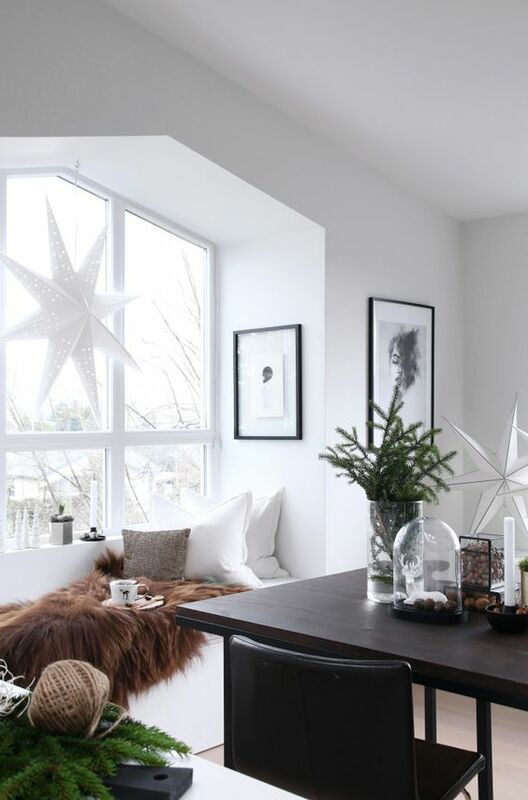 You can also hang holiday lanterns such as those star-shaped decors you see by the windows. 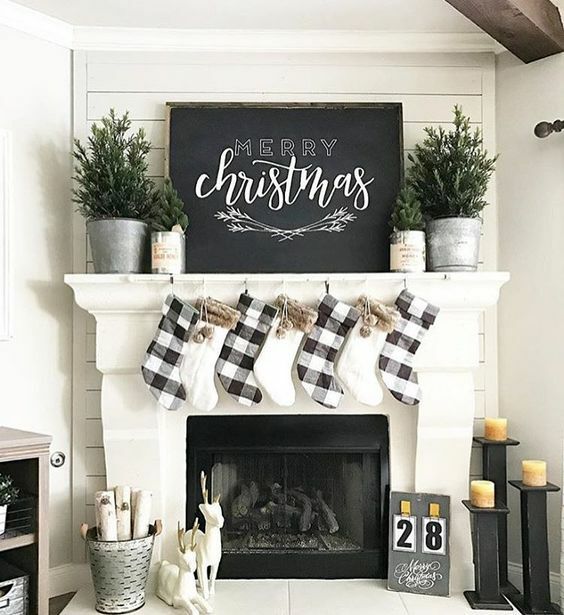 Feel free to adapt these minimalist Christmas decor ideas in preparation for the upcoming holiday. These are unchallenging set-ups, you can do these in a week or even days before Christmas. These are also easy to pack-up and store.